The German Amatheon Agri Group and the Japanese Toyota Tsusho Corporation have announced today the establishment of a joint venture in Zambia. The collaboration between the two companies is based on a total investment of approximately USD 10 million, which will be utilised to build a large-scale agricultural project. The project will develop 2,700 hectares of land for the cropping of maize, wheat and soya. Plans to implement a large-scale irrigation project have already been approved by the Zambian Environmental Management Agency; hence the operational phase of the project starts immediately. The collaboration of the two companies is part of the overall development of Amatheon’s already 40,000 hectares titled farm block. The Amatheon Agri Group will act as the majority stakeholder and operating partner of the company. The project represents both companies shared understanding of responsible and profitable investment in the growing agricultural sector of Southern Africa. “We are excited about this partnership and look forward to leveraging Toyota Tsusho’s extensive technical know-how and international network with Amatheon Group’s expertise and sound operating procedures”, says Carl Heinrich Bruhn, Founder and CEO of the Amatheon Agri Group. As part of its sustainable development objectives, the joint venture will engage in the support of local smallholder farmers by providing them with training and access to market. The international trading company Toyota Tsusho that stems from the Toyota Group is already active in 53 countries in Africa. 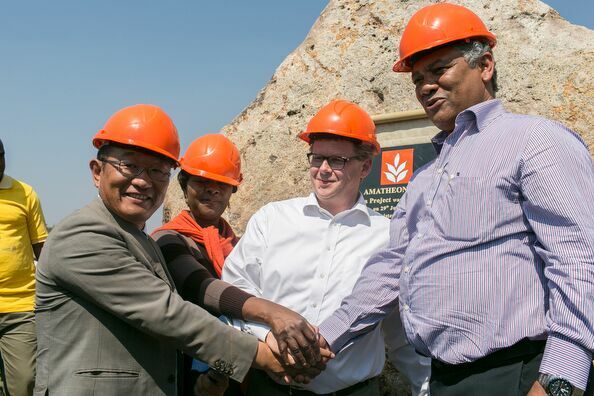 The joint venture highlights the increasing importance of the agricultural sector across the continent.